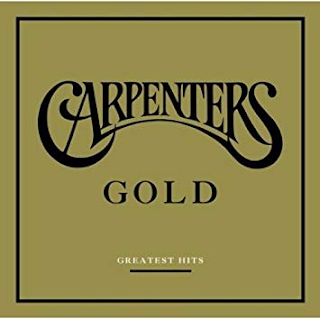 I always liked The Carpenters throughout the seventies even during my "punk years". I bought "Goodbye To Love" and "Yesterday Once More" as singles in the mid-seventies. I loved them then and I do now. So what. They're songs of the highest quality. "Yesterday Once More" is lovely. A melodic, nostalgic lament for rock 'n' roll days gone by with Karen Carpenter's honeyed tones at their absolute finest. 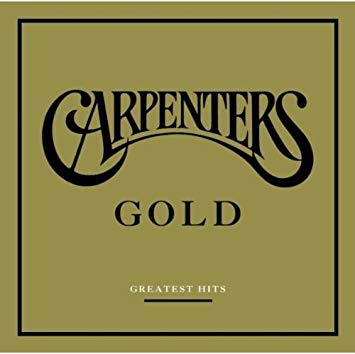 What is often forgotten, as her voice was so good, was that the instrumental backing on Carpenters records was always top notch, led by brother Richard. The sound quality on this compilation is simply superb. Lovely and bassy. Leon Russell and Bonnie Bramlett's "Superstar" is just gorgeous. The bass, the oboe backing, Karen's vocal, the build up of the plaintive verses and the glory of the chorus. Great stuff. "Rainy Days And Mondays" is another killer, with its Bacharach-sound melody and sumptuous saxophone solo. Then there is "Goodbye To Love", one of my favourite Carpenters songs of all time. No, make that one of my favourite songs of all time, by anybody. It is simply wonderful, building up through Karen's beautiful, evocative and haunting vocal to its cataclysmic climax in Tony Peluso's memorable jazz guitar solo. He was urged by Richard Carpenter to turn it up loud and just run free with it. I think you can safely say he did just that. At 2.25 the drums kick in, the wonderful backing vocals take us higher then Tony appears at 2.48 and I am in air guitar heaven. If you don't get the urge to play air guitar during this there's something amiss. There is some much more great material on here - I have always loved the goofy Cajun fun of "Jambalaya" and the cheesy Motown cover of "Please Mr. Postman". "I Won't Last Another Day Without You" is heartbreakingly beautiful and "Close To You" is impossibly not to sing along to, Alan Partridge-style. Other beauties are the harmonious "Only Yesterday", the lovely "We've Only Just Begun" and Neil Sedaka's plaintive "Solitaire". "For All We Know" has a delicious oboe intro and a simply infectious refrain. Even the schmaltzy "Top Of The World" has me singing along and "Calling Occupants Of Interplanetary Craft" is delightfully and incongruously bonkers. The Carpenters produced classy, high quality, moving and musically perfect pop songs. No argument. This album is one pleasurable listen after another.